Welcome to the latest edition of Here's the Heads Up, giving you a quick rundown of the events and exhibitions I hope to go to in London over the next month or so and the ones I wish I was around for in Dublin right now. Enjoy! 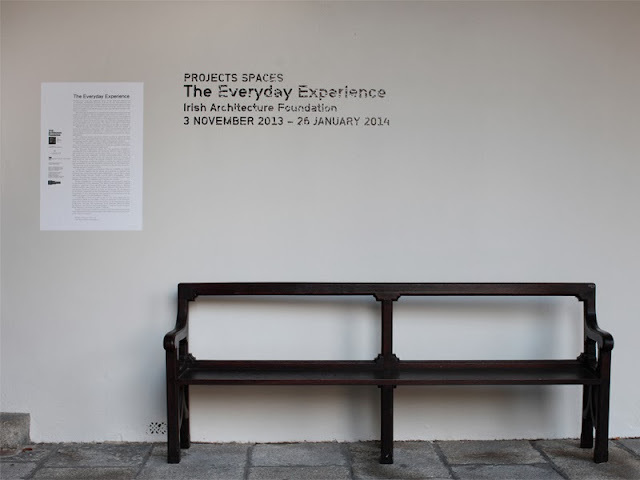 Taking up some of the ground floor galleries for the first time, the Irish Architecture Foundation has curated an exhibition exploring architecture's influence on everyday life entitled The Everyday Experience, bringing together recent or specially commissioned works from a range of Irish and international artists, architects and designers. A really thoughtful and thought-provoking show, it also comes with a fab range of accompanying talks, screenings and events. Mentioned recently in a post about projects aiming to open up making and manufacturing in Ireland, Damn Fine Print is Dublin's first open access screen printing studio. They've just announced their first set of workshops, giving you an introduction to screen printing over the course of four weeks. Workshop participants will also be given additional time in the studio once the course is completed to put their new skills to use: perfect! Pop Art Design opened late last year in the Barbican's art gallery, taking a look at how design and commercial arts influenced the Pop Art movement and how that in turn influenced design and commercial arts. If you're already well-versed in Pop Art and mid-century design this show holds few surprises, but if not it provides a really nice introduction to both. Opening soon in the Design Museum is In the Making, a show curated by British designers Barber & Osgerby exploring the process of making in contemporary design. Exhibiting a range of objects paused in the middle of their manufacture, I'm curious to see how this exhibition looks and what it says about making in the 21st century. Also on in the Design Museum until 9 March is Hello, My Name is Paul Smith, looking less at the work of British fashion designer Paul Smith and more at how and why he makes that work. A really charming exhibition. A major exhibition of work by Japanese, Chilean, Chinese, African, Portuguese (!) and Irish (!!) 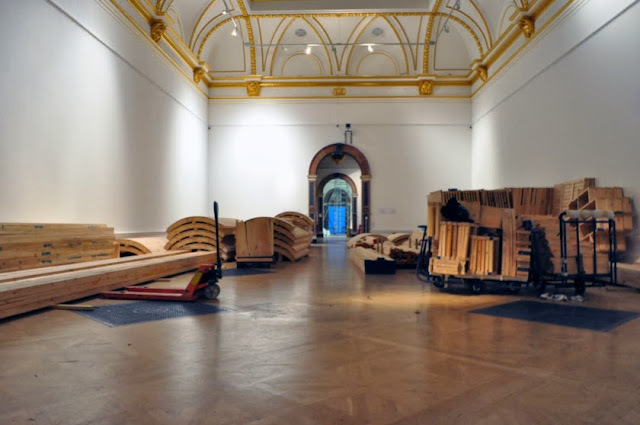 architects, Sensing Spaces sees some of the world's most interesting architectural practices transform the Royal Academy's main gallery spaces this year. This exhibition is massive in scale and ambition, giving visitors a multi-sensory experience and posing questions about the nature and impact of architecture today. I. Can't. WAIT! With a screening on 5 February already sold out, it's clear there's an avid audience waiting to see these two typographic documentaries. Taking a look at American sign painting and Indian truck painting respectively, I reckon this is a great opportunity to learn more about traditional techniques being maintained today. More info and tickets here.